A banker by profession, Her Excellency Pany Yathotou is the President of the National Assembly of Lao People’s Democratic Republic (Laos). She is also a member of the Lao People’s Revolutionary Party, a communist party that has governed Laos since 1975. Born in Xienkhouang Province of Laos in 1951, Ms. Yathotou’s specialises in finance and banking, a qualification she acquired in Hanoi, Vietnam. 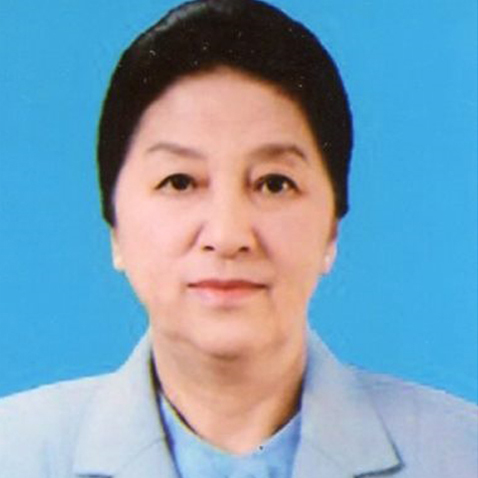 Beginning in 1978, she progressively served in key positions in the Bank of Lao PDR, the country’s central bank, which included the office of the Director General of the Foreign Currency Department, Director General of the Economic and Planning Department, and the Director General of the Investment Department. From 1986 to 1997, she was the Governor of the Bank of the Lao PDR. In 1998, Ms. Yathotou became a member of the National Assembly, and served on several of its standing committees. In 2010, she was elected to the post of the President of the Assembly.